Did you know that the Super Bowl is coming up on Sunday? If you did, great! You probably need help planning your menu, whether you’re hosting, heading to a party, or just staying in and watching on your couch. If you didn’t, surprise! 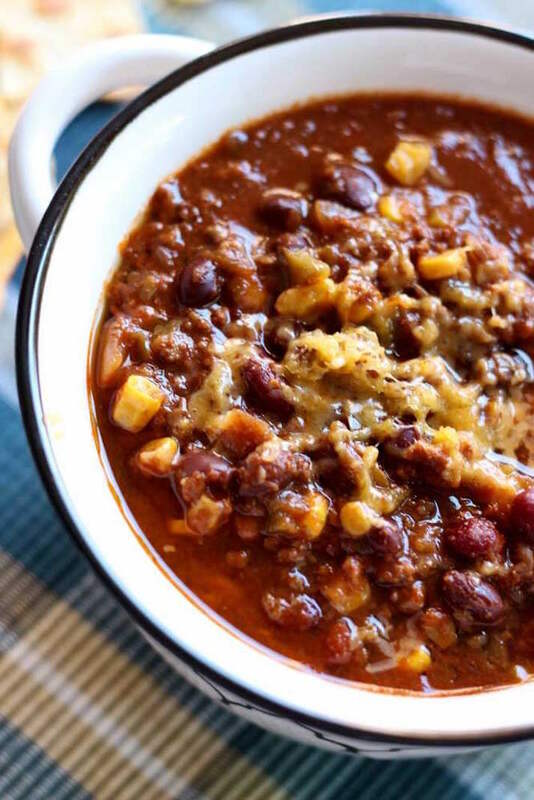 Football fan or not, Sunday is the perfect time to whip up a slow-cooker chili recipe—especially a slow-cooker Super Bowl chili recipe, because really, why not? 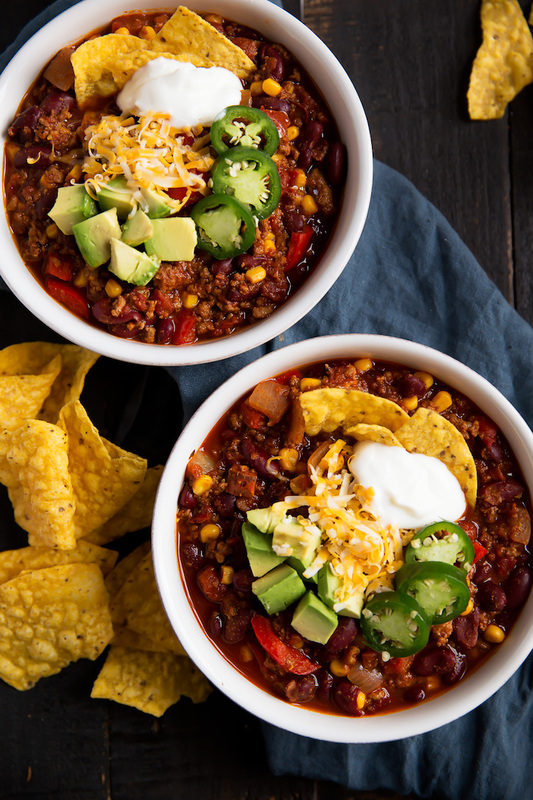 Chili is a perfect Super Bowl food for many reasons. It’s warm and hearty, which is perfect for February. It’s filled with meat and cheese, making it just as American as football itself. And, it can serve as a legit meal among a sea of endless football snacks, so it’s a smart thing to serve at any party. 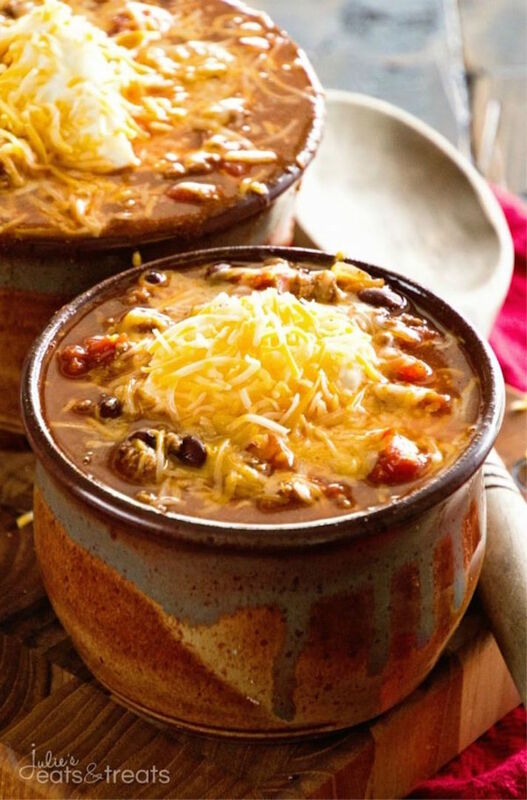 To make things as easy as possible, here’s a list of 17 slow-cooker Super Bowl chili recipes that are delicious, fun and beyond easy to make. Pick your favorite, and grab the ingredients you need—then all you need to do come Sunday is throw everything together and let your slow-cooker keep things warm all through the game. You know what’s better than ground beef chili? 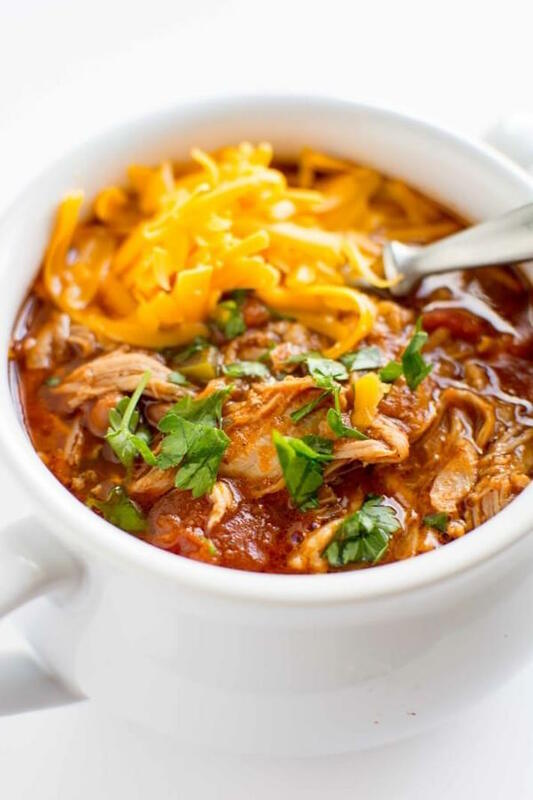 Pulled pork chili. Made in a slow cooker. 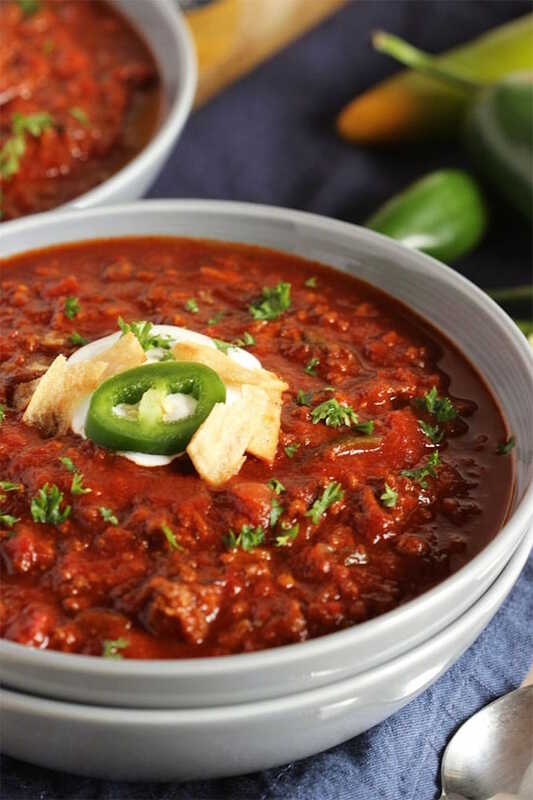 If you’re not in the mood to reinvent the wheel, go with this classic slow-cooker beef chili. 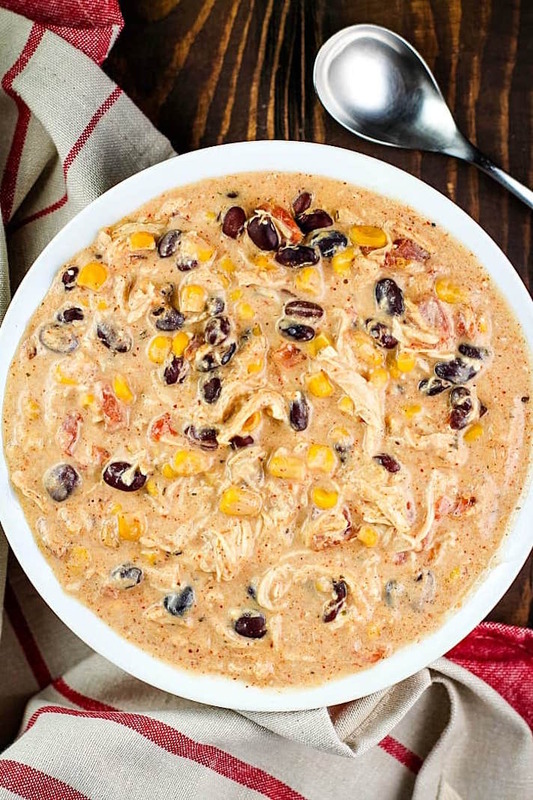 This cream cheese chicken chili is part stew and part queso, really. 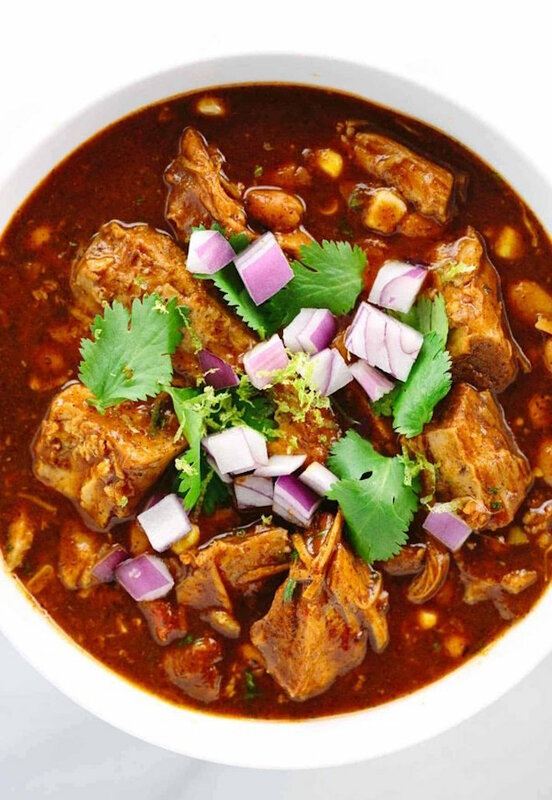 No matter what happens with the game, this New Mexican pork chili will heat things up. 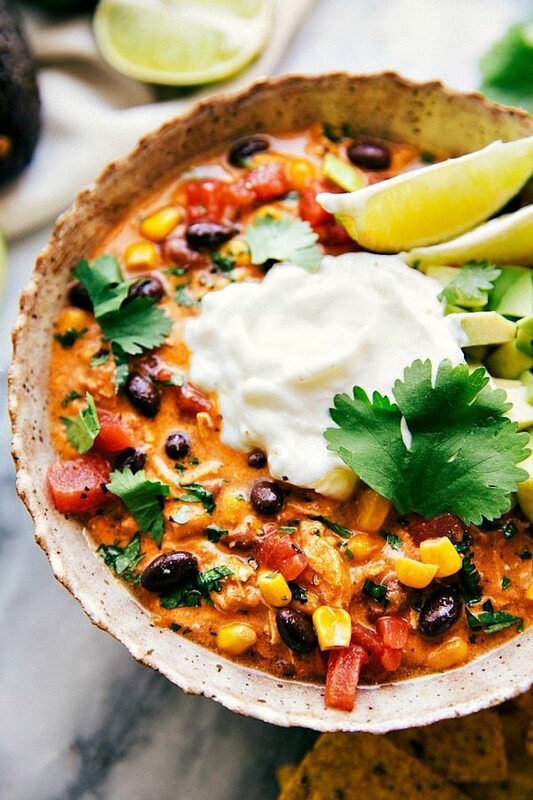 Kill two snack birds with one stone and make Buffalo chicken chili. 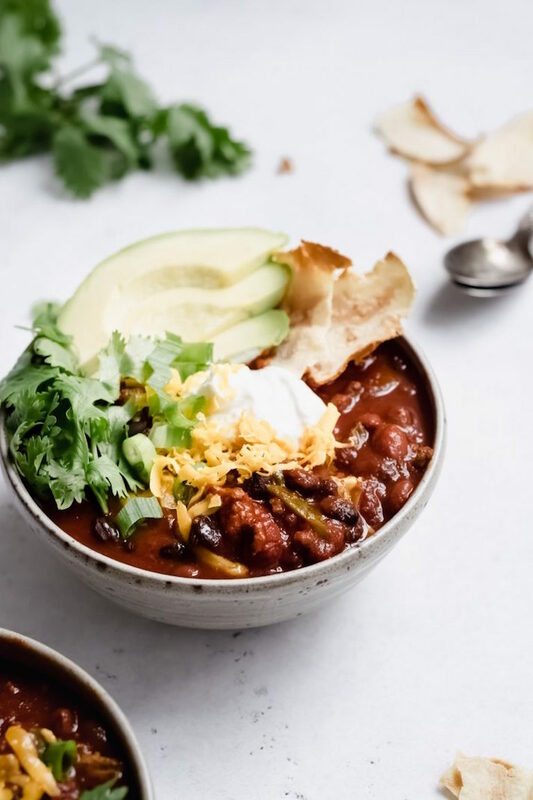 There’s a slow-cooker option for this healthy turkey chili, but if you’re short on time you can also make it on the stove. If you love enchiladas but don’t have the patience to fill tortillas, opt for chicken enchilada chili instead. 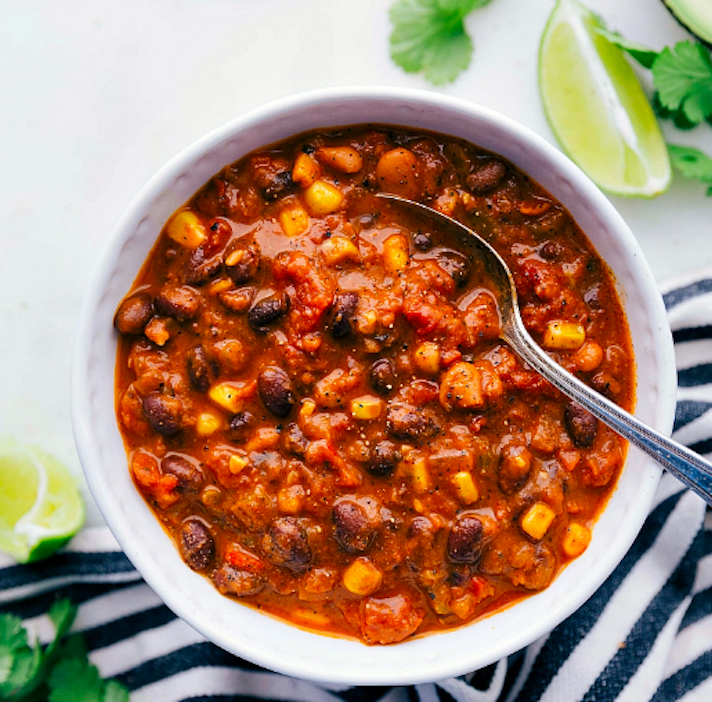 For any vegetarian football fans out there, this meatless slow-cooker chili will have you cheering. Want a less traditional vegetarian option? This pumpkin quinoa chili has an earthy flavor, plus quinoa for a little extra bite. This simple smoky slow-cooker chili gets its flavor from a can of chili in adobo. 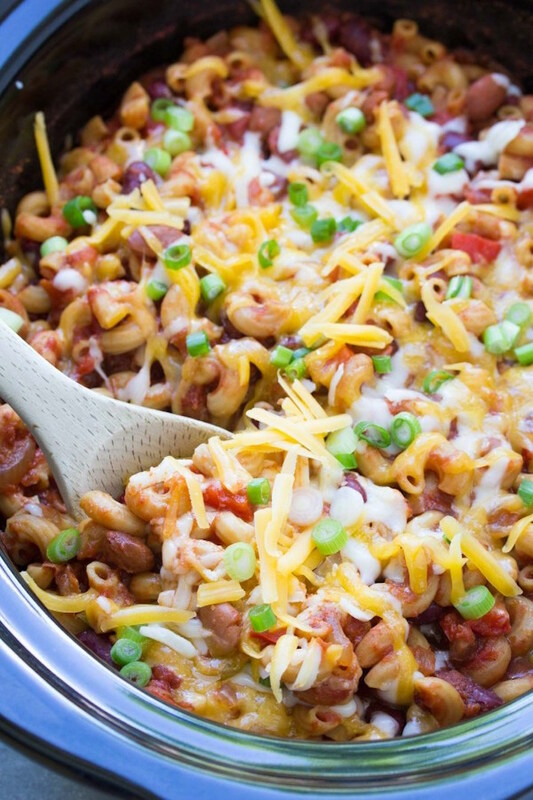 This meatless chili mac is hearty and healthy, so you’ll definitely be energized through the game. 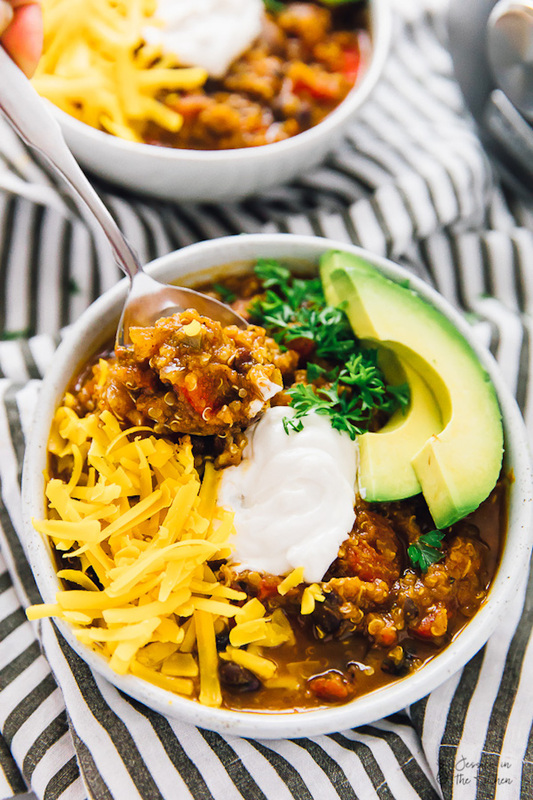 Homemade tortilla chips and fresh avocado add extra pizzazz to this poblano turkey slow-cooker chili. 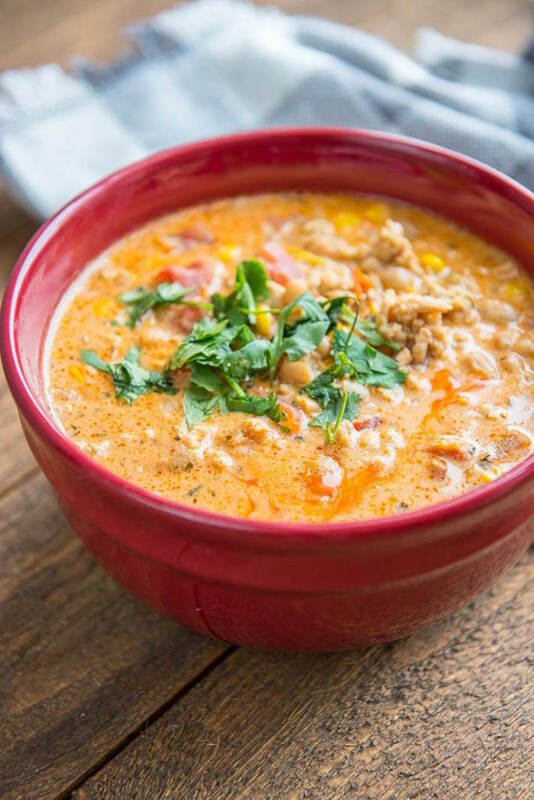 Corn, canned chilis, and salsa are just some of the things that pack flavor into this Southwest chili. This slightly sweet (and spicy!) 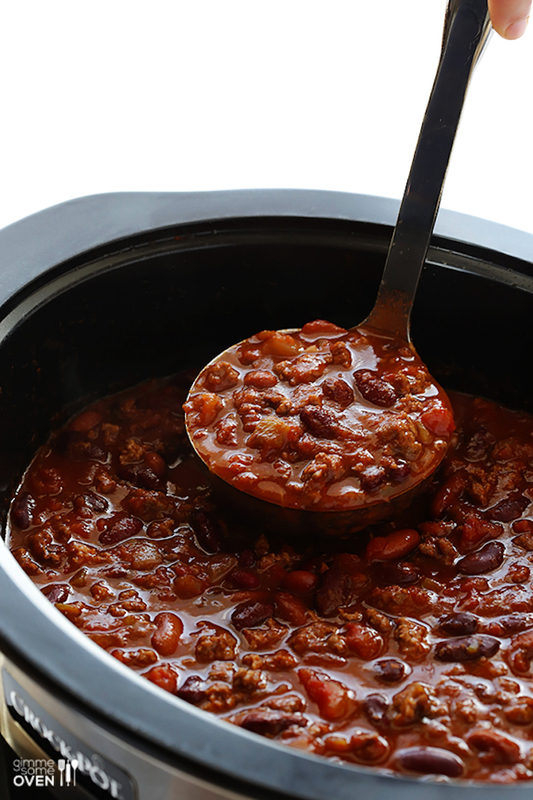 slow-cooker chili is a real winner. The Super Bowl lasts for hours. 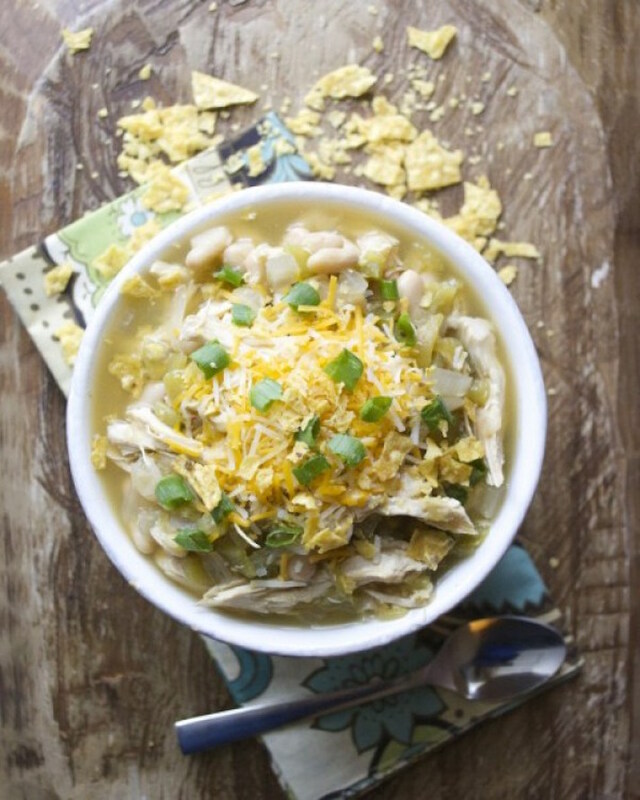 Spice things up in the third quarter with a little white bean chicken chili verde. 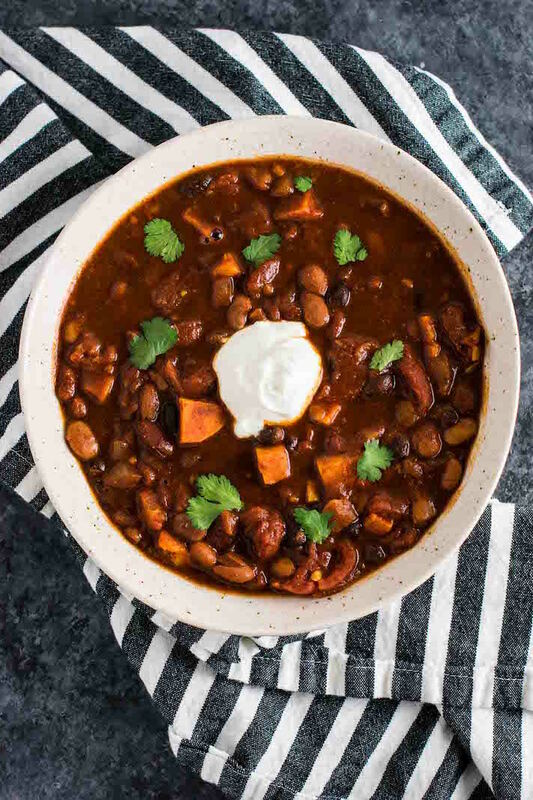 This slow-cooker sweet potato chili is warm and filling without being heavy. 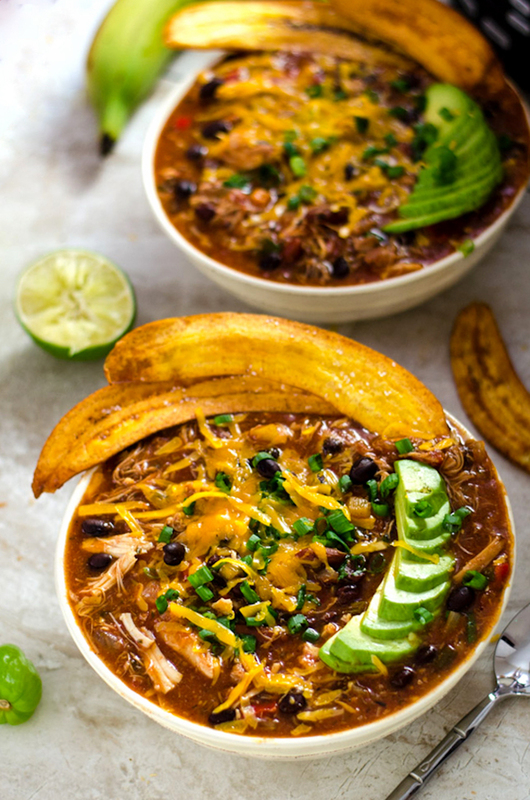 If Jamaican jerk chicken chili isn’t a sell in and of itself, the homemade plantain chips should clinch it.